These alabaster bookends feature St. Michael and a Police Prayer. 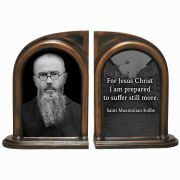 Keeping heavy books in line, they ..
RW 3370 Prepare the way for the Savior. 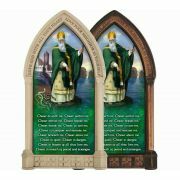 The light of anticipation illuminates your home or church ..
Be inspired by the wise words of these saints and decorate your home or classroom at the same time! .. 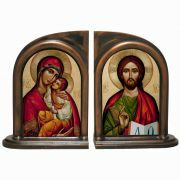 These alabaster bookends depict Byzantine Icons of Christ, the Alpha and the Omega and Mother Mary. .. 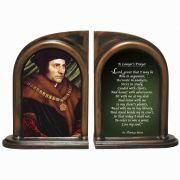 These alabaster bookends feature a classic image of St. Thomas More, and a lawyer's prayer. 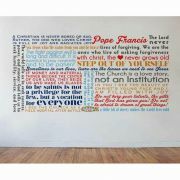 This pai..
10 inches x 8 inches H - Exclusive.10 inches x 8 inches H - Exclusive.Mat board with bevel cut windo..
10 inches x 8 inches by Tammy Apple.. 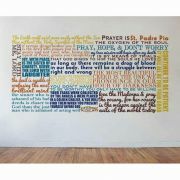 Description: Prayer cubes are great for encouraging children to pray. Roll the cube to determine .. 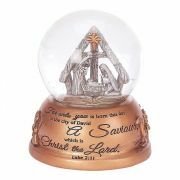 Description: Prayers include: Side 1: Our Father Our Father, Who art in heaven, hallowed be Thy n..
For Unto You Luke 2:11 - 80MM - Resin - Plays O Holy Night - White Box w/Color Label.. 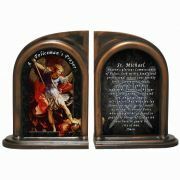 The Story of Christmas Advent Wreath -- Zinc Alloy/Antique Finish -- 7" Dia, Gift Boxed..
Porcelain - 3 pcs. (teapot/saucer/cup) Dishwasher/ Microwave Safe - Round Gift Box.. 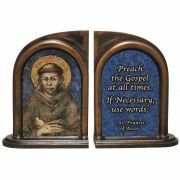 Depth 0.62 Width 3.25 Height 6.00 Grow in your faith at home and share it with your guests us..
Alabaster bookends featuring the Poor Man of Assisi. Holding heavy books in line, these bookends bot.. 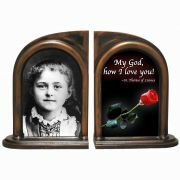 These alabaster bookends feature St. Therese of Lisieux who loved Christ with her every breath. Able.. 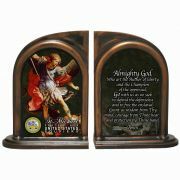 These alabaster bookends feature St. Michael the Archangel and a prayer of protection for our troops..
Help keep your space neat and tidy with this beautiful table organizer! 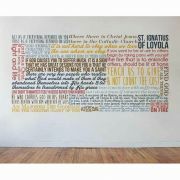 Handcrafted in the United S.. 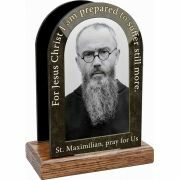 These alabaster bookends feature St. Maximilian Kolbe. 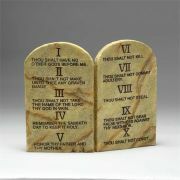 Able to keep heavy books in line, they both o..